Ambitious plans to grow British exports have been unveiled by Trade and Investment Minister Francis Maude during a visit to the Midlands. Mr Maude revealed a determined drive to see British exports reach £1 trillion by 2020, as well as an effort to see the number of UK firms exporting increase from 200,000 to 300,000. The Minister was speaking at Birmingham Airport at an event to mark the start of Export Week and unveiled a new scheme which aims to get more companies exporting. The First Time Exporters initiative, being run by UK Trade & Investment (UKTI), offers a package of support which includes training and advice for companies selling overseas for the first time. It also offers the opportunity to take part in trade missions to new markets and a big digital push to help companies use the latest technology to start exporting. The initiative is being delivered through a team of advisers, including dedicated digital experts, and a new online tool designed to assist with export planning. Mr Maude told the Post: “We have an ambition that British exports should grow around the world to reach £1 trillion by 2020. “That’s very ambitious but there are lots of ways to do that. “We are focusing on helping mid-size companies to export more - helping business that never have exported by giving them support. “About 200,000 businesses in Britain are exporters at the moment and we don’t see any reason why that shouldn’t increase by 50 per cent to 300,000. Mr Maude said the First Time Exporters initiative was in part motivated by the fact Britain is lagging behind countries like Germany and France in some respects. He added: “It is an established fact that fewer companies in Britain tend to be exporters than their counterparts in comparable countries like Germany and France. “Maybe they haven’t thought about it or think it is in the difficult box but what we can do is give them some advice and show them what the opportunities are. “Also to help them over the initial hurdles that can sometimes seem quite intimidating but are all manageable and navigable. “Our job as government is to make it easier to show it is worth the effort because that is where the growth markets are. 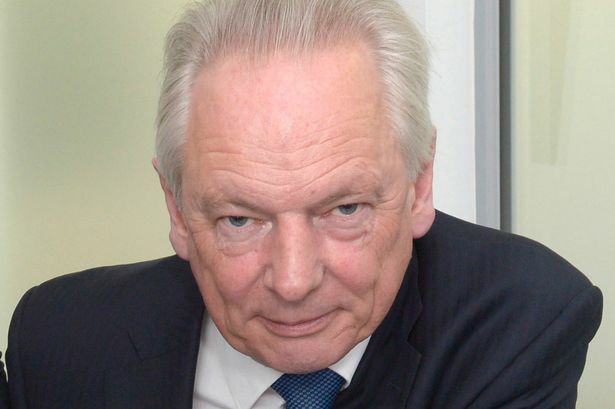 The First Time Exporters initiative will see 100 new trade advisers being put in place and 20 specialist digital advisers, who Mr Maude said could offer “real expert practical help”. He said while there was an ongoing focus on the two biggest emerging markets of India and China, Latin America is also being targeted as a market that has been “ignored for too long”. The Minister also acknowledged that the Midlands was also an outstanding example of exporting success. Export figures for 2013 released in March revealed exports from the West Midlands have almost doubled in six years as the region continued to buck a falling national trend. The region exported £28.6 billion worth of goods last year, up from £27 billion in 2013 . Mr Maude said: “I know the West Midlands well, I was a West Midlands MP for nine years. “I know the strengths there are in engineering and manufacturing terms. Citing Jaguar Land Rover’s success as an example he added: “It is a fantastic story, a really brilliant story. You have Indian ownership but the brands of Jaguar and Land Rover are infused with Britishness, that sense of quality and durability. “It is very much about Britain and the UK brand.